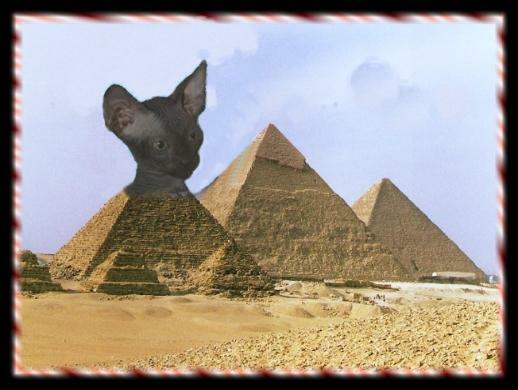 How much is it to purchase a Sphynx? It depends on pet, breeder, show quality and the amount of fuzz. Is there a health guarantee with this kitten/cat? You clip them once a week. Be careful, especially on the back nails. Just clip the ends. There is a 3 year health guarantee that this kitten/cat is free of any genetic defect. How often do they need bathing? It depends on the individual cat. Once a month is good. Bathing too much can create more oil. How often do you clip their nails? How often do you clean their ears? having any hair to collect the dirt. It will look gummy like brownish black tar. How often do they need vaccinations? I say about every 3 years, not annually. How often do you worm them? that kittens are free of worms. tolerate being around a Sphynx before buying one. top of TV's, computers, anywhere there is heat. You can put sweaters on them. You are responsible for all cost due to shipping. When can I have my kitten? Your kitten will be ready from 14 to 16 wks of age. Yes they will be, unless he/she is sold as a breeder. What is the qualification to buy a breeder from you? Read the link below about 3 times for it to soak in, then decide if you are ready to be a breeder? Why you "SHOULD NOT" declaw your kitty? 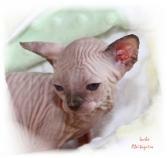 What causes Sphynx to grow fuzz? Much depends on the genetic background of the particular cat, no Sphynx is truly hairless. often have the last word. Copyright@2008 by Theresa Abeita. All rights reserved. General Information of caring for a Sphynx and their personality? For the information and important's of food!!! What is the Herpes Virus in Cats! What to expect with your new baby?